Today’s Amazon earnings were decidedly split — the company revealed both a 44-percent increase in net sales and a 73-percent decrease in net income. So, why the discrepancy? It may at least partially be due to the much discussed suggestion that the company actually loses money for each Kindle sold — a trend which, if true, has likely only been compounded by the release of the uber-cheap ad-supported version of the device. The company addressed the matter in part, suggesting that it is focused on “the lifetime value [of the Kindle], not just the economics of the devices and accessories.” The total economic picture of the Kindle includes the device itself, accessories, downloaded content and ad-revenue. 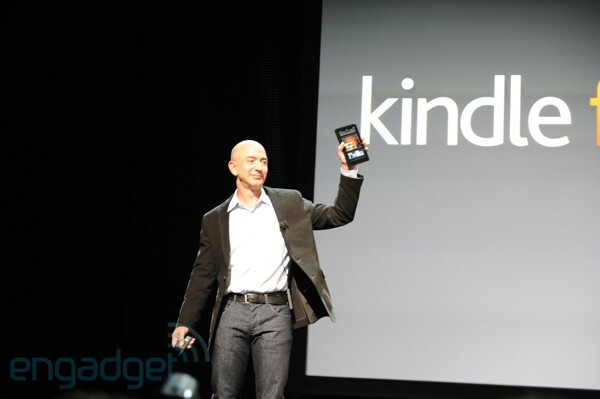 Amazon focusing on ‘lifetime’ Kindle revenue, anticipating record device sales for Q4 originally appeared on Engadget on Tue, 25 Oct 2011 17:45:00 EDT. Please see our terms for use of feeds. IBM’s board of directors have announced that Virginia M. Rometty will be taking over as CEO of the company in 2012, succeeding current chief Samuel Palmisano. 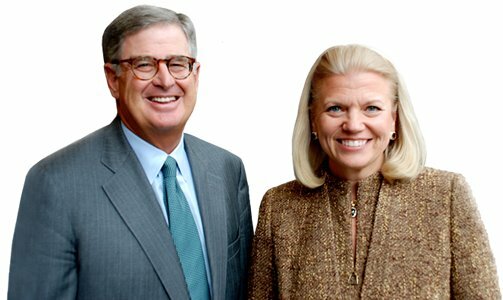 Palmisano will stay on as chairman of the board, but at the end of the year will hand over the reins to Rometty who will become one of a few, but growing number of female chief executives (alongside Meg Whitman) in the tech industry. During her roughly decade long tenure with the company she has spearheaded the push into the services industry and in 2009 became senior vice president of sales, marketing and strategy, leading the charge into markets like China and India. The 54-year-old Rometty will look to continue Palmisano’s success, which has seen IBM become the second most valuable tech company in the world, just ahead of Microsoft and right behind Apple. Check out the full PR after the break. IBM announces Virginia Rometty as new CEO originally appeared on Engadget on Tue, 25 Oct 2011 17:18:00 EDT. Please see our terms for use of feeds. You may have noticed a trend recently — pairing slightly less powerful cores that sip power, with more robust ones that can chug through demanding applications. NVIDIA’s Tegra 3 will be packing an underclocked fifth core, while ARM’s big.LITTLE initiative matches a highly efficient 28nm A7 with the beefy A15. 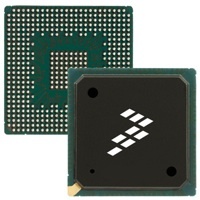 Now Freescale is planning to use the same trick, but you won’t find its asymmetrical CPUs in your next tablet or smartphone. Its platform, which marries a Cortex M4 to a Cortex A5, isn’t meant to compete with the latest Snapdragon. These chips will find homes in factories and in-dash infotainment systems which have increasingly sophisticated UIs, but don’t need to push thousands of polygons. Software development tools will land before this quarter is out and the first batch of silicon will be announced in Q1 of 2012. Looks like the era of “dual-core” meaning two identical cores has officially come to an end. Freescale joins ARM A5 and M4 cores at the hip for performance and power savings originally appeared on Engadget on Tue, 25 Oct 2011 17:02:00 EDT. Please see our terms for use of feeds. This entry was posted on October 25, 2011, 5:56 pm and is filed under Mobility. You can follow any responses to this entry through RSS 2.0. Both comments and pings are currently closed.